Many business models in the online world face one challenge: the modelling of the complete conversion funnel. Through online marketing measures i come into first contact with my customers (Lead-Generation). But i only sell to them later offline – outside of the user session on my site. This poses a problem to most online Tracking tools. Only the first contact is tracked as a success, but not the actual transaction, that brings revenue for my company. For example at smava.de my team and i had this problem: we were brokering consumer loans online. The customer had to fill out a long online form to apply for a loan. But the deal was only done after the customer also had registered with his local post office (postident) and sent in some papers, which only happened in a fraction of cases. In the tracking tool we could ony see the submitted applications (leads), but not the finally paid out loans (sales). Our consulting approach aimed at the following solution: At the time of lead generation the websites pushes customer data to Salesforce. Simultaniously, Google Analytics registered a goal completion. The problem with this: Both events cannot be connected after the fact. Whats missing is a Unique identifier, that makes the event traceable in both systems. 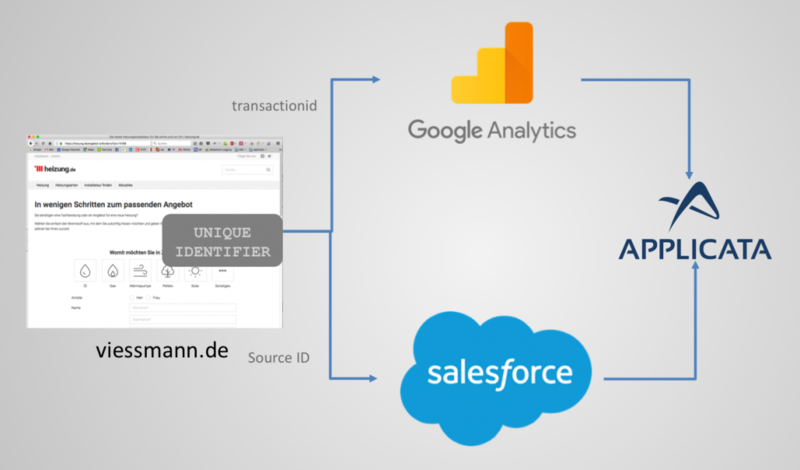 With the help of a small JS Script we generate the identifier (10digit alpha-numeric string) and push this together with the customer data both to Salesforce and to Google Analytics ecommerce tracking, which allows to collect the so called transactionid. Salesforce tracks all Leads and their status using the unique identifier. So, for each and every lead we can check if a sale happened. Our tool setup followed: Applicata imports data from both systems and joins it in a meaningful way, to enable ROI analysis. 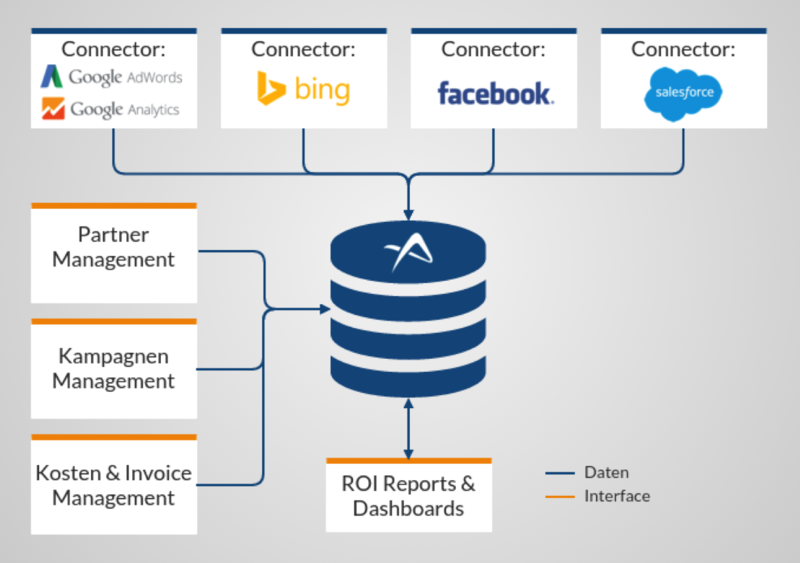 Applicata comes with premade connectors to both Google Analytics and Salesforce, so implementation was a matter of days. The Viessmann marketing team is now able to work with daily automated reports, that show sales success of individual campaigns. This way, on a daily basis, the team makes decisions about campaigns that are more profitable than other and allocates Budget optimally. In addition, based on the available data the CRM team creates Conversion reports, which it uses to monitor their performance and improve. Besides the team in Germany also Marketing staff from other EU countries uses applicata for their Reporting. Each country only has access to its own data. ← Is a negative ROI acceptable when acquiring new customers?